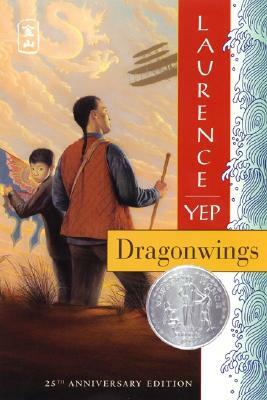 Newbery Honor Book Dragonwings by Lawrence Yep takes readers on an adventure-filled journey across the world. Inspired by the story of a Chinese immigrant who created a flying machine in 1909, Dragonwings touches on the struggles and dreams of Chinese immigrants navigating opportunity and prejudice in San Francisco. Moon Shadow only knows two things about his father, Windrider: he lives in San Francisco and used to craft beautiful kites. One day shortly after his eighth birthday, Cousin Hand Clap arrives with a letter from Windrider asking Moon Shadow to join him in San Francisco. When Moon Rider arrives in America he learns that his father makes a living doing laundry and dreams of building a flying machine just like the Wright Brothers. But making this fantastical dream a reality proves to be no easy task, as intolerance, poverty, and even an earthquake stand in their way.